Our flanges are cut with a CNC HD (High Definition) Plasma cutter out of 3/8” Pickled and Oiled (P&O) steel. P&O material is hot rolled steel that has been dipped in acid to remove the mill scale and then coated lightly with oil. The end result is less work to clean off the mill scale as needed with hot rolled mild steel. The ports are designed to be used with variety of exhaust tubing sizes. These flanges are designed in CAD and are test fit to make sure proper fitment is achieved. Our flange products include exhaust/header flanges, intake flanges, one-piece exhaust/intake flanges and turbo flanges. We have over 40 options to choose from in the following brands: Buick, Cadillac, Chevrolet, Chrysler, Desoto, Dodge, Ford, Mopar, Oldsmobile and Pontiac. We have 13 flanges for you to choose from in the following brands: Buick, Cadillac, Chevrolet, Chrysler, Desoto, Dodge, Ford, Mopar, Oldsmobile and Pontiac. T3/T4 turbo flange: Comes with bolt dimensions of 3.375″ x 1.75″. T4 turbo flange: Comes with bolt dimensions of 3.25″ x 2.75″. T6 turbo flange: Comes with bolt dimensions of 2.75″ x 4.45″. An exhaust flange is a piece of metal that bolts directly to the engine and allows for custom headers to be fabricated. They still require an exhaust gasket between the header flange and the engine/head. 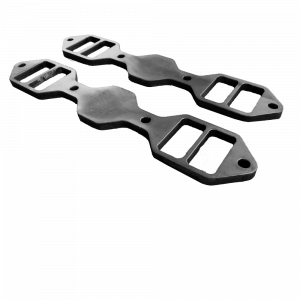 They are generally built to match the port shape and size for each application along with the bolt hole spacing and pattern to allow for a good fit and seal against the engine. 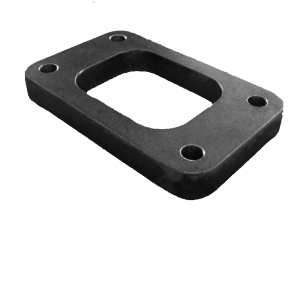 All of our flanges are built for each specific application as listed in the product description and we do our best to make them as universal as possible, but still fit properly. 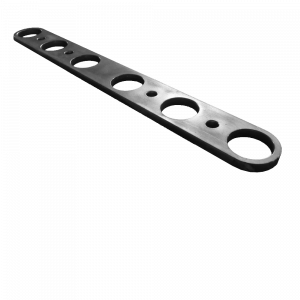 This is a great solution for you to build a set of custom headers to fit the required space in the engine bay to avoid items such as steering, frame rails, engine mounts, etc. 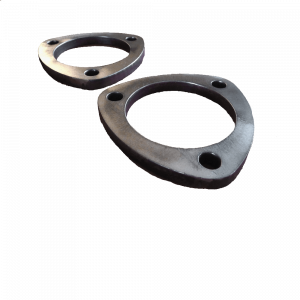 We have the most extensive line of exhaust flanges available from a single company. What is a turbo flange? 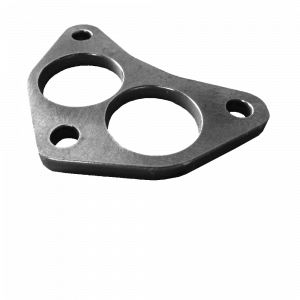 A turbo flange is piece of metal that is designed specifically to attach a turbocharger to your exhaust manifold or header. They can be made from mild steel or stainless steel. 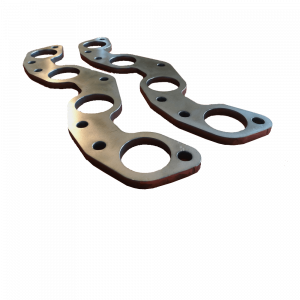 These flanges allow for you to build a custom turbo setup for virtually any engine when combined with our header flanges and mandrel bends. Turbos are being installed in hot rods and cars that were never intended to have one, so a custom system must be fabricated. The turbo flange is a key component to help you in adding more horsepower.